The Internet of Things (IoT) is powerful on its own. But combine it with the potential that artificial intelligence (AI) brings to the table, and you’re in for a world of innovation. Healthcare is one such industry that will greatly benefit from IoT and AI teaming up for a greater cause. With the two technologies working in tandem, patients can expect better wait times in the ER, more robust health tracking systems, and lowered healthcare costs (we can dream, right?). AI and IoT are also showing immense promise in the fight against cancer. The National Cancer Institute started an interdisciplinary initiative called the “Cancer Moonshot Initiative”. 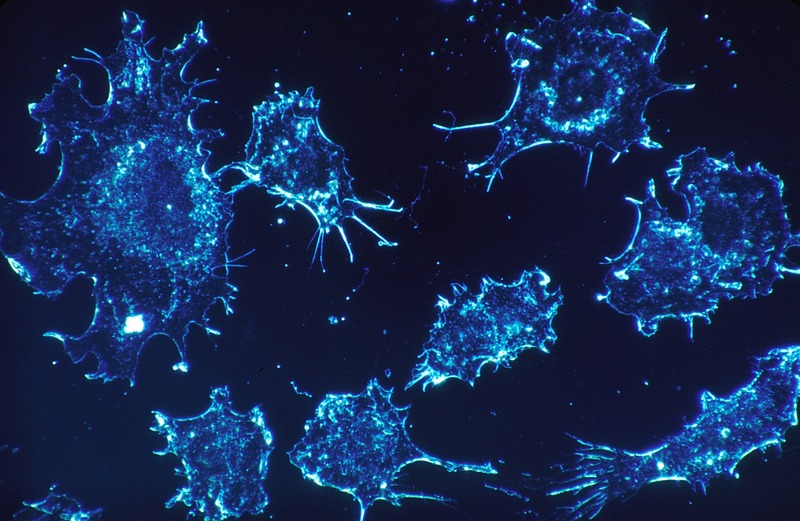 Bringing together a coalition of MedTech developers, pharmaceutical companies, and doctors, the initiative hopes to accelerate cancer research progress via AI and IoT by 2020. AI and IoT have already entered the healthcare space with robots and better patient data software, but there aren’t many solutions for oncologists. These doctors, who dedicate their careers to studying and treating cancer in humans, can only begin treatment after diagnosing the patient’s condition. And when that involves early cancer, symptoms can be absent or inconsistent. Combining AI and IoT could allow doctors to detect cancer much earlier than current protocols. But that’s just where the benefits begin. Boston-based MIT researchers are using machine learning (ML) to create less toxic but equally effective cancer treatments. Leveraging huge amounts of data to create a treatment plan with specific doses of medicine is the future for AI and ML in healthcare. And IoT’s sensors could create and upload data continuously, ensuring treatments are on point around the clock. Fortunately, we don’t have to wait until 2020 to see the impact on cancer treatment that AI and IoT are making. Cisco and Cyrcadia Health teamed up to create a bra that keeps an eye out for breast cancer’s early signs. Dubbed the “ITBra”, it tracks the temperature of each breast against pre-determined risk markers. The risk markers are set using proprietary predictive analytics based off of the user’s bra’s data. The bra went through U.S. clinical trials already, and the company is working towards an FDA Class 1 clearance, which would allow the bra to be sold over-the-counter. With extensive testing, the collaborating team dropped the required wear time from 48 hours to 2 hours and improved accuracy from 74.5% to 80%. These are some remarkable statistics, and we can’t wait to see other innovations like this. What do you think about the future of IoT and AI in healthcare?